TOPICS:animal adoptionPet Connection Programs Inc. Although children often beg parents for a dog, rabbits, guinea pigs, birds, fish, reptiles and cats can all be appropriate. “Carefully consider your family’s individual needs and circumstances before determining what type of pet to get and the right time to introduce it,” recommends Ferrante. 1. In an increasingly digital world where socializing is often done online, pets provide real-life companionship and help make social connections. 2. Pets teach important lessons about forgiveness. If you don’t spend enough time with your pet one day, they won’t hold it against you and the next day they’ll have completely forgiven you. 3. Whenever you have a difficult day, even if the problems were caused by you, your pet will still be excited to see you when you return home and will remain at your side. 4. Research shows that pets reduce stress and anxiety. 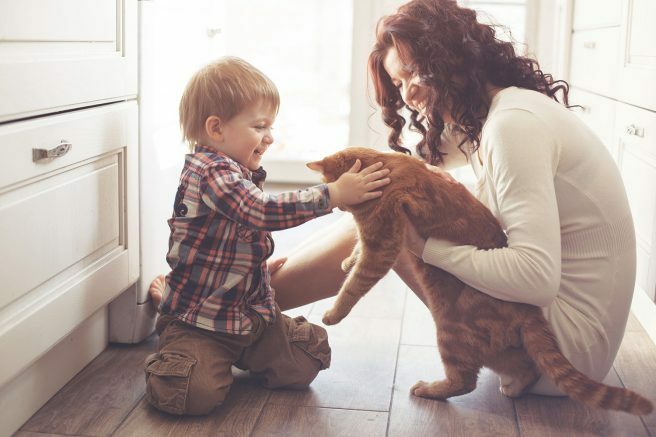 In a hectic family household, pets can help provide calm, loving balance. 5. Pets, particularly dogs, get you to move more. It’s easy to say no to exercise after a busy day at work and school, but if the dog needs its walk, someone in the family will have to lace up their shoes. 6. Although children favor kittens and puppies, adopting an older pet is less work. If you visit a pet retailer during one of their adoption weekends, you’ll find a wide variety of pets and will be able to select one with the right temperament for your family. 7. If now is not the right time for a pet, encourage your child to make a small donation to a local animal rescue or shelter to help a pet in need. Find more information online at petvalu.com. Pet Connection to hold chicken barbecue, basket auction today! Be the first to comment on "Is your family ready for a pet?"